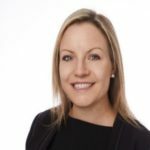 Helen Kay is a highly accomplished solicitor with over 13 years post qualification experience running her own legal practice and working within top tier commercial law firms in the UK and Western Australia. Helen is admitted in three jurisdictions and, as well as working for many years in private practice, has also worked in‑house for an international property developer. Helen works with a range of clients across different industry sectors, including small and medium sized businesses and landlords. Prior to joining Panetta McGrath, Helen had run her own successful commercial legal practice and won a number of awards in the process, including ‘Most Innovative Business’ awarded by the ECU Faculty of Business and Law in 2013 and the HSBC Premier City of Wanneroo ‘Best New Business of the Year’ Award in 2012. Helen is a strong believer in accessible and easy to understand legal advice, clear communication, and in building sustainable business relationships. Business Owners Board is pleased to have Helen Kay as one of its guest presenters. Business Owners Board (BOB) is a confidential group of business owners who form an advisory Board of up to 15 members and meet once per month, for four hours, to review the performance of their own business and assist other to develop theirs. It is restricted to the owners of the business only.